Home/Training/A quick history of Veterans Day. Today is Veterans Day and tomorrow is the observed Holiday. Veterans Day has been observed since 1954 by the U.S. and its origins date back to Armistice Day 1918, which marked the cessation of hostilities on the Western Front in WWI. Veterans Day preserves the historical significance of the 11/11/1918, but also focuses attention on the important purpose of Veterans Day: A celebration to honor America’s veterans for their patriotism, love of country, and willingness to serve and sacrifice for the common good. Here is a short video about Veterans Day from the History Channel. Made before all the shows were just about people having dangerous jobs. 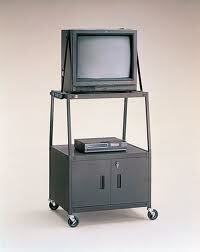 So sit back relax and imagine your teacher rolling one of these into the classroom.